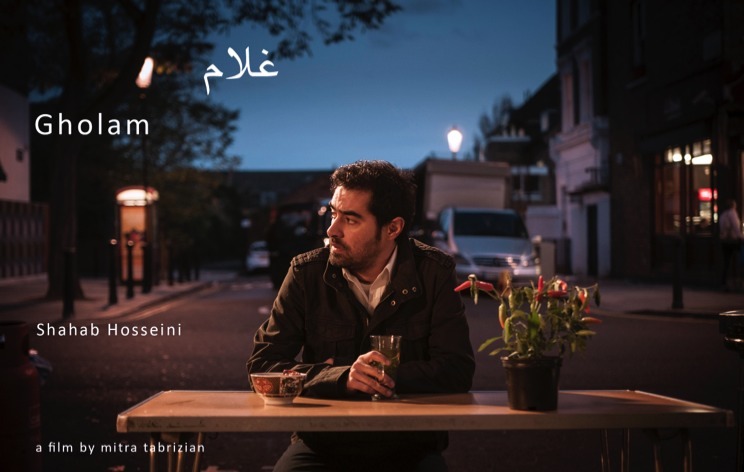 Gholam (Shahab Hosseini), the title character of this mordant portrait of an exile in extremis, is a shy, laconic Iranian military veteran in his 30s. He survives on the margins of the expatriate community in London by driving a mini-cab at night and odd jobs at a garage during the day. When not sleeping in a grim, mold encrusted studio flat, he spends his meagre free-time in a restaurant run by his uncle. While he strives to wear his burdens lightly, Gholam is treated largely with indifference or contempt by not just his self-absorbed customers, but his extended family. His response is to be a listener and he provides quiet friendship to his nephew, an aspiring rapper, and the garage owner, who mourns a lost bohemian life left behind in Iran. Assimilation eludes Gholam as he becomes more than an object of curiosity for the leader of a shadowy political group (Nasser Memarzia) keen to make use of Gholam’s dormant army skills.